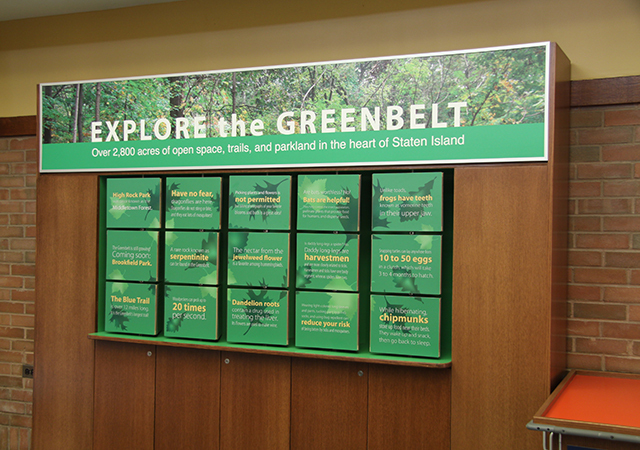 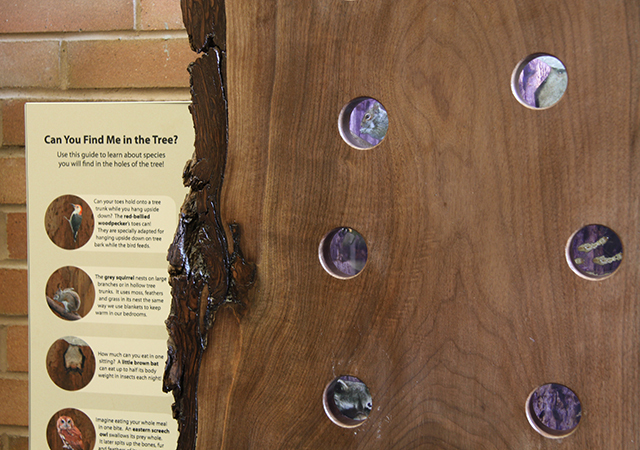 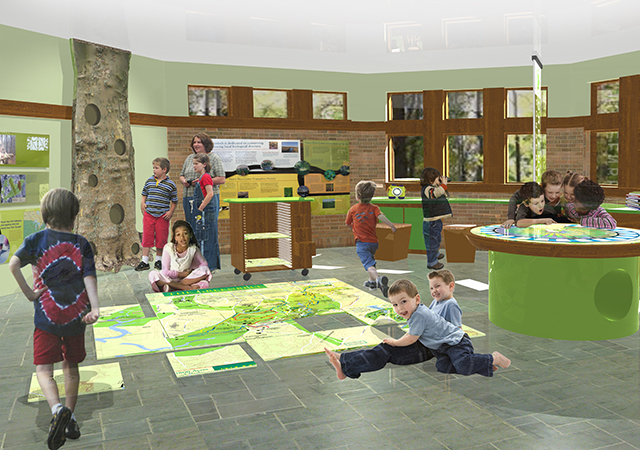 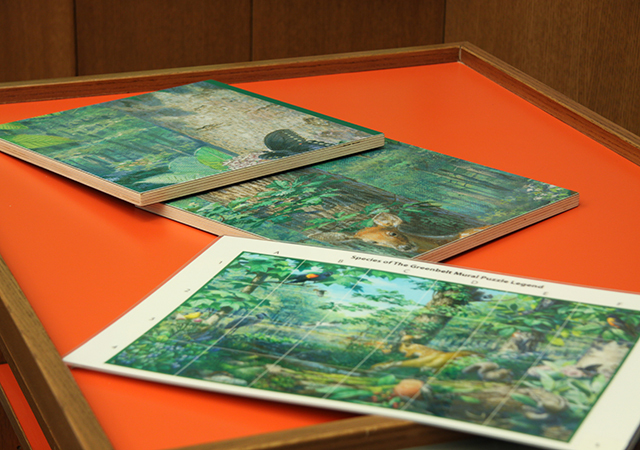 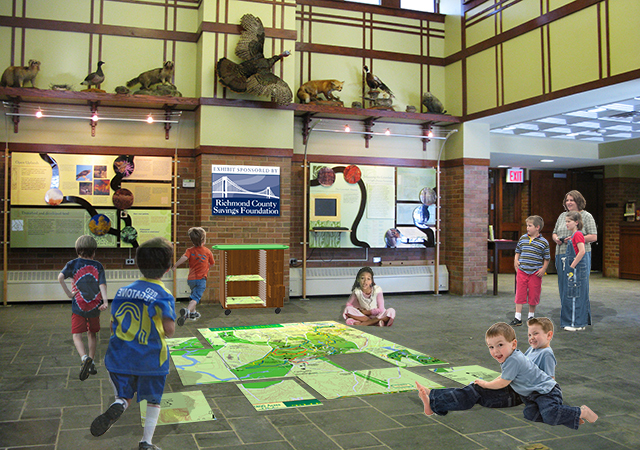 When the Greenbelt Nature Center decided to upgrade their exhibits to include more hands-on interactive elements, they hired Whirlwind to provide the needed tactile elements. 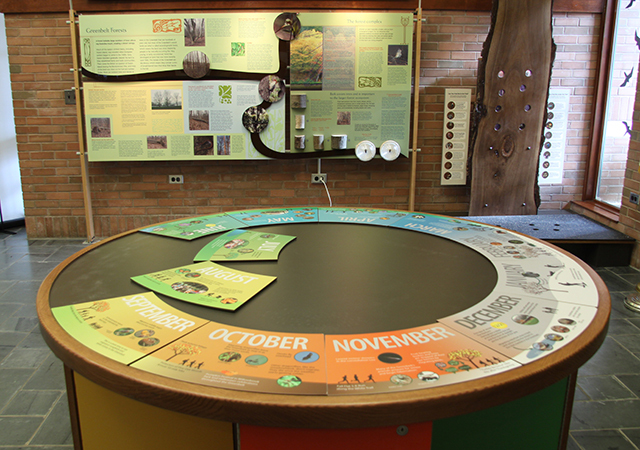 The exhibits included a rotating TIME TABLE that could show seasonal changes as well as nocturnal and diurnal changes, depending on which series of puzzle pieces were chosen. 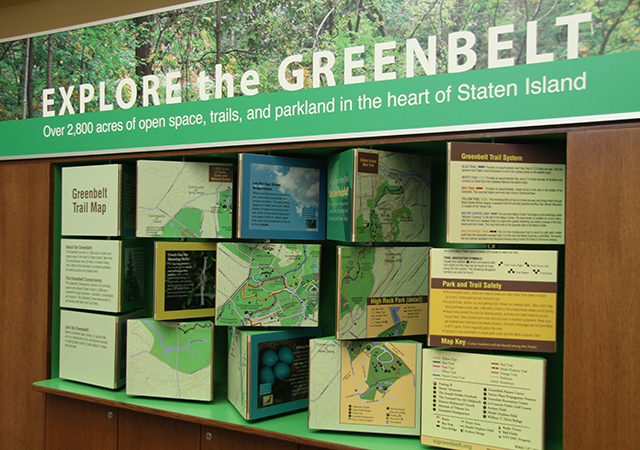 A moveable cart housed activities that explored wildlife and their habitats and a map of the Greenbelt with blocks that identified key points of interest. 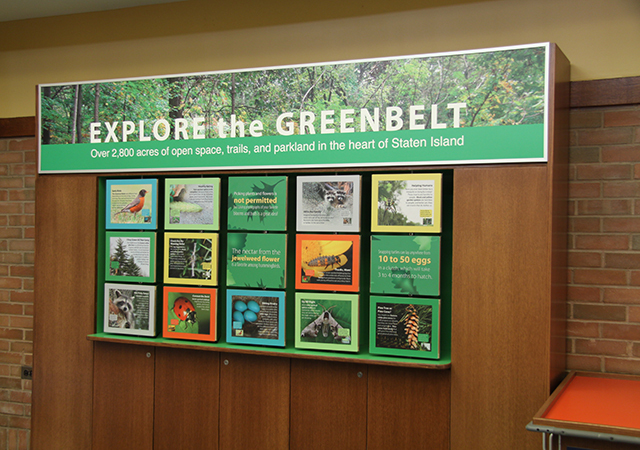 A wall of trylons allowed visitors to learn about the Greenbelt and play a memory game as a way to explore the wildlife and natural habitats of the region.